I’m thrilled to announce some Very Big News to all of my wonderful friends around the world! We have now been Blessed with our very own weekly Radio Show!!! I will be taking your calls, answering your questions for the Guides, and performing Medical Mediumship scans and healings live on the air! For the first time in broadcast history, healing miracles will be brought to a worldwide audience. 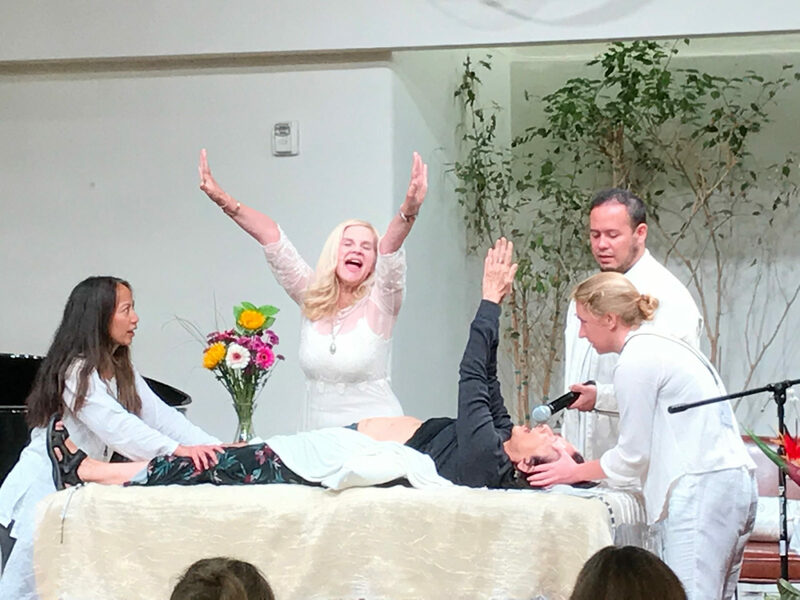 As a vessel for the Holy Spirit, I will perform medical intuitive scans and healings live on the air by transmitting healing scalar energy through The Divine. I’m delighted to announce THE MEDICAL INTUITIVE MIRACLE SHOW will air every Tuesday night, 7-8 PM Pacific, starting Tuesday, October 16! We will be broadcasting LIVE on KCAA radio, which serves Southern California. For my friends outside Los Angeles, you’ll also be able to listen live and call in from around the world thanks to KCAA’s online live stream! Please spread the word to all your friends and family worldwide! Help make the show a successful global healing phenomena! I’m proud to partner with KCAA and its founder and owner, Fred Lundgren, and producer Gary Garver, to help bring the Healing Energy of God to a global audience. Best of all, simply by listening to the show, you can help me heal people live on the air, and you can thereby also be healed through the power of the Holy Spirit. This is a history-making collaborative healing event unlike anything that has ever happened on live radio! 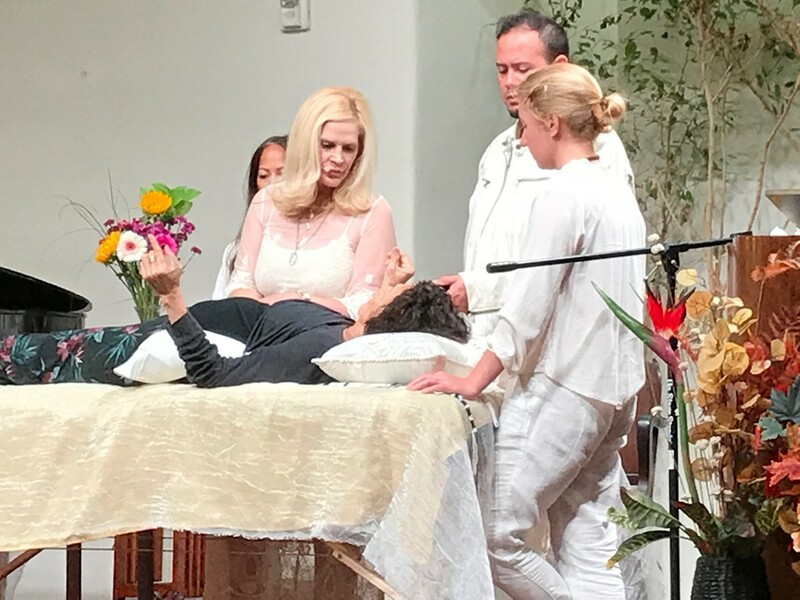 Right now, as a special exclusive offer to friends of The Healing Trilogy, I am offering a chance to receive a FREE in-person Medical Mediumship scan and healing LIVE ON THE AIR and STREAMING LIVE ON THE INTERNET during the broadcast! Finally, individuals who already have a future session planned or who have had previous healing session with Kimberly are not eligible. Thank you so much and we are excited to help as many that are need. By submitting this form, you agree to these stipulations. Please share this wonderful opportunity with your friends and family and encourage them to enter! 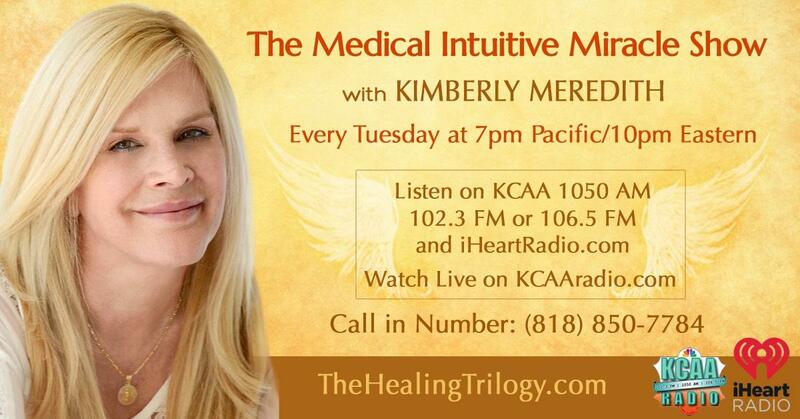 Kimberly Meredith is a Medical Intuitive Healer. Blessed with a unique array of extraordinary healing abilities. 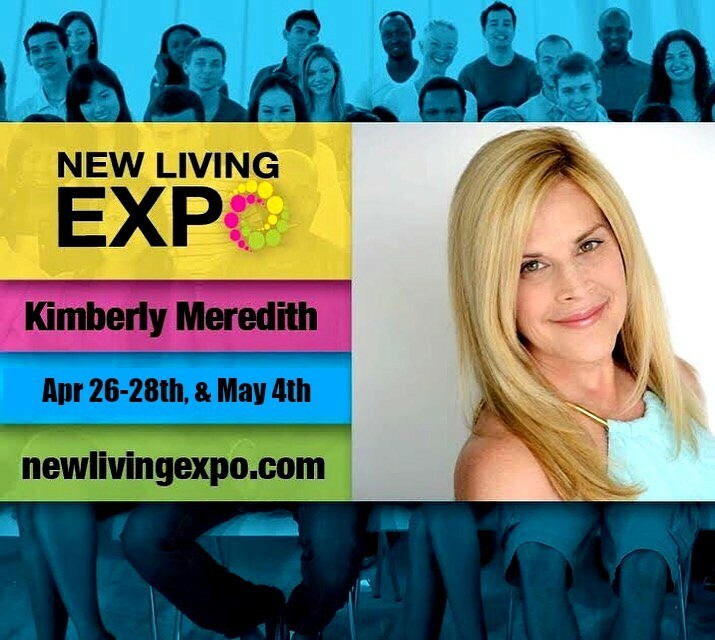 Kimberly is quickly gaining recognition as one of the world’s most gifted Medical Intuitive Healers and foremost Spiritual Teachers. Kimberly channels the Holy Spirit through her eyes’ blinking codes as a tool of communication from God, Jesus, Mother Mary, Ascended Masters, and Angels. Kimberly is often compared to Edgar Cayce, the Father of Holistic Medicine, a Medical Intuitive, and the most documented clairvoyant of the 20th Century. Numerous tests from PsyTek Subtle Energy Laboratory & Research with Dr. Norm C. Shealy, confirmed Kimberly’s ability to emit scalar energy, even through walls. ENTER a FREE RAFFLE at Kimberly’s Table in Front Lobby for In-Person & Skype Sessions or sign up for private sessions at the table. 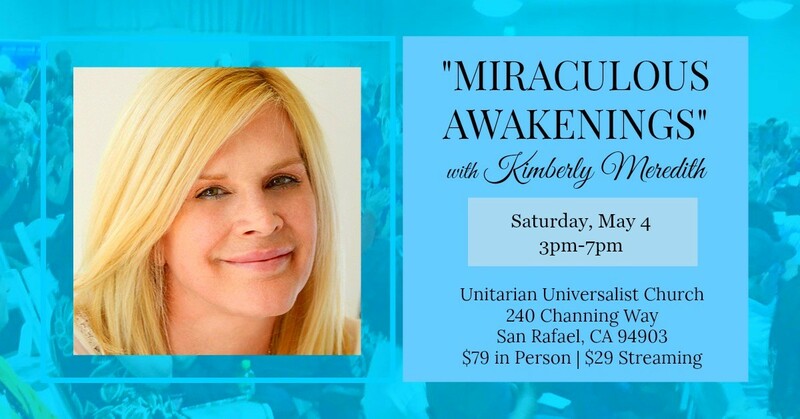 Through her mediumship healing abilities, Kimberly receives coded messages through her blinking eyes as she signs and speaks in etheric Angelic Language. Kimberly receives and reveals special Messages from God, Mother Mary, Ascended Masters, Angels, and Advanced Civilizations. Kimberly is Divinely Guided by the Holy Spirit into the audience to select several individuals for a medical intuitive scan, revealing many diseases, emotional traumas, unusual conditions, past and present, followed by laying-on of hands and/or psychic surgery. Spirit will select individuals to join Kimberly on stage to assist her in laying-on hands. By praying for others, and witnessing their healings, you too can be healed. Topics will include: How to heal yourself * Self-protection tools * Organic holistic living and nutrition * Boosting your immune system * Avoiding toxic exposure to mercury and plastics * Exclusive information about water * Indigos & Starseeds. This is truly a Miraculous Healing Event where everyone can be Healed in the 12th Dimension. This Panel of Ascension Experts will share their experiential and up-to-date knowledge of the complex Ascension process taking place on the planet now, revealing practical step-by-step instructions that you can apply in your daily life. Be open to awakening your hidden knowledge, activating ancient codes, and charging your energy field with Light Consciousness, to accelerate your personal evolution during this powerful time of global awakening! The panel will discuss in depth the Current Cosmic Ascension plan, which includes: Steps to Prepare for Ascension; Activate Soul’s Ascension Timeline; Accessing the Quantum Field; Transcend Ego Resistance; Heal Core Wounding; Build Heart Magnestism; How to Activate the Merkaba Light Body; Scientific Technology of Transfiguration; The Role Crystal Light Plays; Living in the 5D Earth and The Event. There will also be an experiential “Ascension Activation” where all that attend and are open can experience the higher dimensions and the receiving of Ascension codes. Come with an open mind and open heart so that you can understand and participate in this accelerated spiritual quickening that is happening for the planet, humanity and for you. 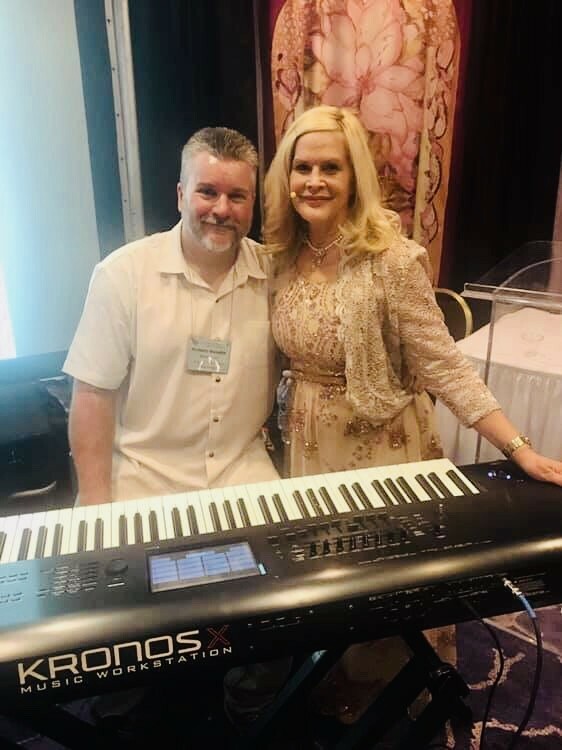 Steve Dempsey musical composer was first introduced to the piano when he was about 4 or 5 years old and instantly felt a special bond and calling to play music. 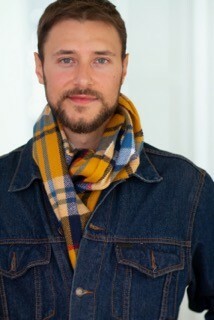 He enjoys composing his own music and feels the influence from all genres and styles. He went into college and came out with a BA degree in Music, as well as, played in the university jazz band that played with special guest artists like Grammy Award winning Poncho Sanchez, John Clayton Jr, and Anne Patterson. After college, Steve sold his first composition and music recording to well-known medium, John J. Oliver, who still uses that recording to this day over 20 years later. Steve is now a member of the Los Angeles based classic rock and original band ‘CORE’ and all original Jazz Rock Groove band ‘Zen Junky Project.’ Steve has a sample of his music on Soundcloud, as Steve Dempsey2, and multiple videos with CORE live performances from various events around the Los Angeles area. When Steve is not playing music, he is at work as Property Master for the long-time running daytime soap “Days of Our Lives” or at home spending time with his wife and two children. 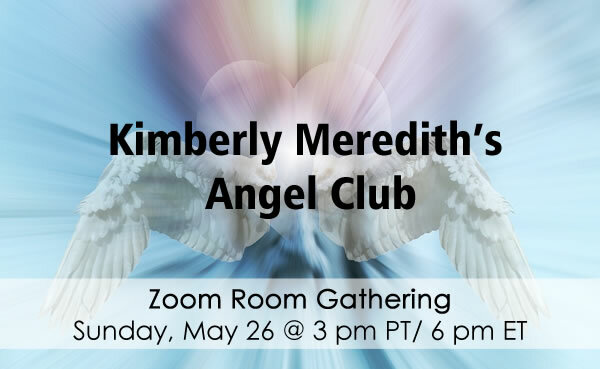 Through her mediumship healing abilities, Kimberly receives coded messages through her blinking eyes as she signs and speaks in etheric Angelic Language. Kimberly receives and reveals special Messages from God, Mother Mary, Ascended Masters, Angels. Kimberly will be Divinely Guided by the Holy Spirit into the audience to select several individuals for a medical intuitive scan, revealing many diseases, emotional traumas, unusual conditions, past and present, followed by laying-on of hands and/or psychic surgery. Spirit will select many individuals to join Kimberly on stage to assist her in laying-on hands. By praying for others, and witnessing their healings, you too can be healed. 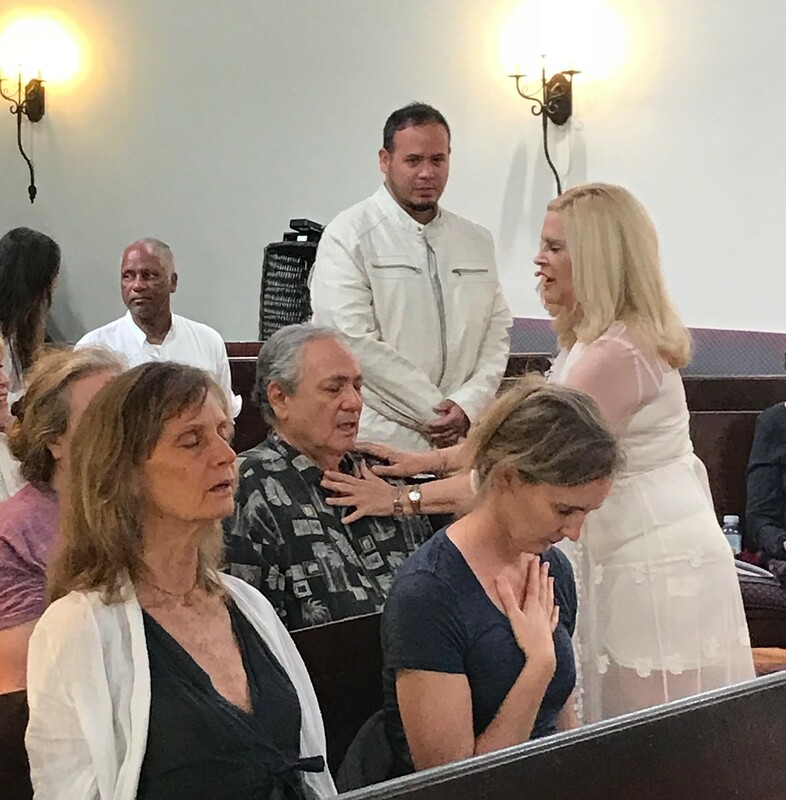 Kimberly will be guided to lay hands on each person with chants and prayers so you may receive this powerful Shaktipat energy and transformation. 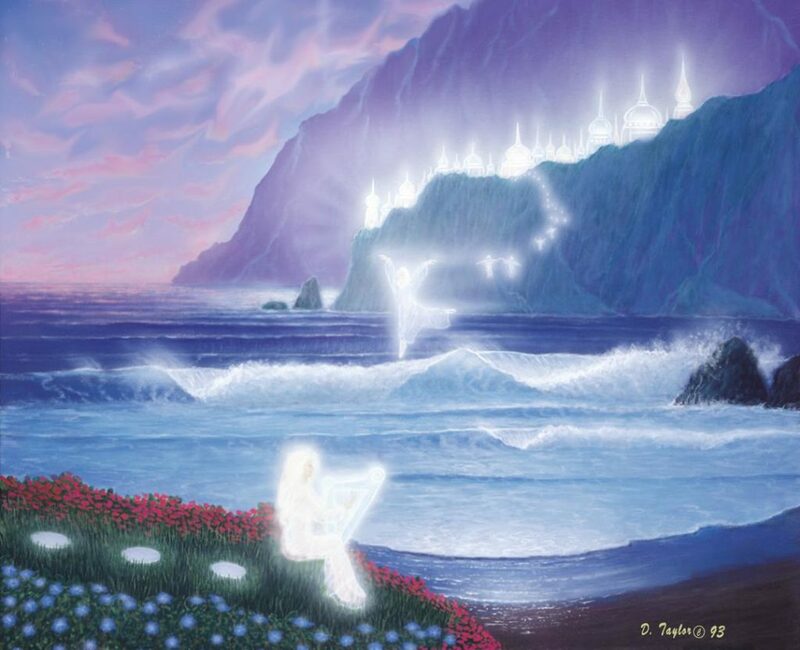 Through her mediumship healing abilities, Kimberly receives coded messages through her blinking eyes as she signs and speaks in etheric Angelic Languge. Kimberly receives and reveals special Messages from God, Mother Mary, Ascended Masters, Angels. For those wishing to take some Ormus home, we will have a limited quantity of Blessed Ormus Cream jars available for purchase for $60. My exclusive line of Blessed Ormus Cream has been personally prayed over by me, infused with God’s Healing Energy, and confirmed by the Guides as beneficial. If you too would like some Blessed Ormus Cream, come join me at my Spiritual Services! My Blessed Ormus Cream is currently available *only at my events and nowhere else. * Supplies are limited and may sell out! Many individuals who are in need of physical or emotional help are encouraged to attend. We are non–denominational. Many chants and prayers are encouraged around the room. We believe this encourages the power of the divine healing of the 12th dimension. Shanna Lee is a personal coach and energetic frequency expert. She is the #1 Best Selling author of The Soul Frequency: Your Healthy, Awakened and Authentic Life and the founder of TheSoulFrequency.com and The Soul Frequency Show podcast, leading the conversation on raising your energy frequency and creating a life founded on truth and alignment. 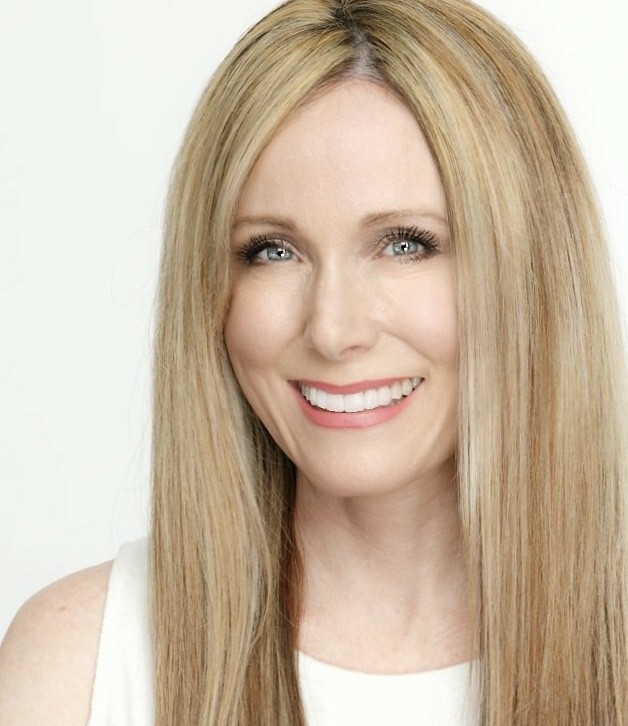 She is a speaker, businesswoman, and consultant to executives of Fortune 500 companies, celebrities, influencers, and fashion industry experts. With over two decades of experience in sales, marketing, and business development coupled with her intuitive gift of insight, she is an expert in leading purpose-driven individuals and supporting the development of their core mission from the ground up. Shanna Lee has been featured in Awareness Magazine and the international docuseries, Depression and Anxiety Secrets. She is a contributor to Medium, Tiny Buddha, and Elephant Journal and has been featured in numerous podcasts and international radio shows. Join us as we discover the infinite potential for healing the mind, emotions and body through alignment with our own personal truth. 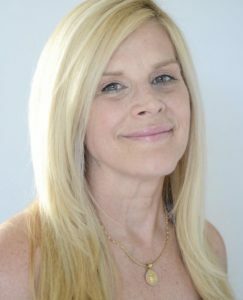 Shanna Lee will share her four step process of energetic alchemy, which connects us back to our own unique energetic fingerprint, The Soul Frequency. Through the powerful portal of truth, we release the past, and experience greater health, happiness and fulfillment. We ask for a $30 minimum donation for this AMAZING SERVICE ($10 for a Live Streaming Ticket) to help support future services!! We greatly appreciate any additional donations to support the continued success of our growing non-profit. No one will be turned away! Douglas Taylor is a multi-talented visionary artist, author, speaker, surfer and home builder. During much of his youth, he was a surfer traveling around the world searching for that elusive perfect wave. He never quite found that perfect wave but his travels stimulated his adventurous spirit. He developed a profound appreciation of nature and its healing and rejuvenating effects in his life. In 1978, on one of his surfing trips to the Caribbean Island of Puerto Rico, Douglas experienced a life-changing psychic encounter, finding himself inside a starship and telepathically communicating with its extraterrestrial occupants. They were human in appearance and seemed to radiate a beautiful light and sense of peace. He felt a new surge of excitement and expansion of mind, far more than he ever thought he would. 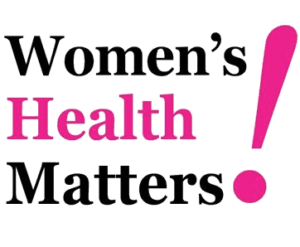 I am very excited to have Doug’s work a the Woman’s Matter Health service. Everyone attending receives free covered parking at the UCLA hospital parking structure near the Church, compliments of The Healing Trilogy. It’s just a quick 4 minute walk. Ask the attendant at the entrance of the parking structure for a free parking pass. They can also point you toward the Church. DO NOT PARK ALONG ANY SIDE STREETS. YOU WILL BE TICKETED. Hi my Angel Club friends I am so excited to guide you and activate your Chakras! Please join us and experience this journey togoether . To learn more about this please read .. The universe is a complex of many interrelated points such as suns and planets, in the same way the material and subtle bodies of the yogi–which reflect and react on one another–are a network of life energy points known as chakras. Chakras are points in the bodies into which the universal life force (vishwaprana) flows. Without that constant inflow the bodies would become dormant and disintegrate–would die. The chakras are both entrances and exits for the cosmic life power as well as reservoirs of that power and points of intelligent direction of the power. There are many subsidiary satellites of the chakras called adharas. Adharas are reservoirs of pranic energies, storage units for the energies that flow into the subtle bodies through the chakras, and therefore can be (and often are) mistaken for a chakra. For Angel Club members, all Zoom Room gatherings are included at no additional charge as part of the membership benefits. Simply log in to your Angel Club account, then add the Zoom Room to your Cart, then Check Out. For non-members, you can join us that day for a one-time payment of $65 or you can join the Angel Club for an annual fee of $200. I can’t wait to see you on Sunday, May 26! 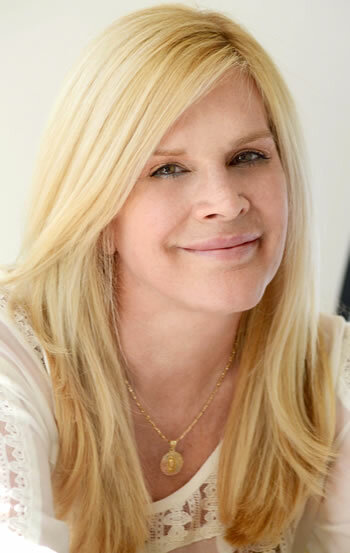 Kimberly, a world-renowned medical intuitive, faith healer, and channeler speaks prayers channeled by God, the Holy Spirit, and the Saints. Activate Through the process of channeling, chanting prayers and activating light energy. Kimberly assists in awakening the Spirit and healing energies within others. Kimberly, a Spiritual Activist, speaks about how we can embrace the 12th Dimension, and fill our body with trust, love, and light. She is guided by the Holy Spirit to channel about how we can raise global consciousness by understanding that God is not religion. All participants will feel the 12th Dimensional consciousness of God and will be receiving this energy the entire time. 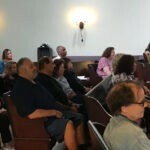 Future Spiritual Service Healing Events Coming Soon! Through her mediumship healing abilities, Kimberly receives coded messages through her blinking eyes as she signs and speaks in etheric Angelic Language. Kimberly receives and reveals special Messages from God, Mother Mary, Ascended Masters, Angels, and Advanced Civilizations. 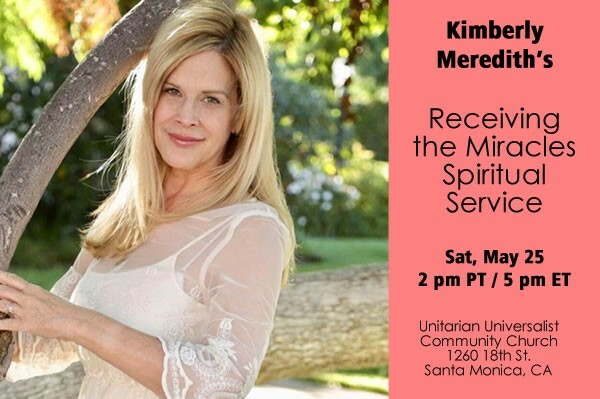 Kimberly will be Divinely Guided by the Holy Spirit into the audience to select several individuals who will most benefit from medical intuitive scans, revealing many diseases, emotional traumas, unusual conditions, past and present, followed by laying-on of hands and/or psychic surgery. Spirit will select individuals to join Kimberly on stage to assist her in laying-on hands. By praying for others, and witnessing their healings, you too can be healed. 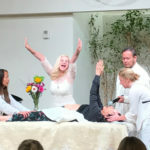 A Truly Miraculous Healing Event where everyone can be Healed in the 5th Dimension. Kimberly is a frequent guest on numerous nationally-syndicated radio shows and podcasts.